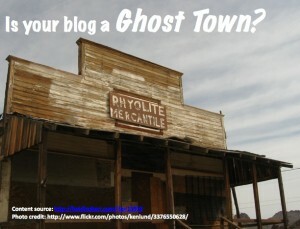 Does your blog look like it’s a social media ghost town? If so, it may be scaring prospective readers away. As research has shown, visitors may leave your blog before they ever read a word based on a variety of factors. Therefore it’s critical to make your blog is as welcoming as possible. Here are twelve telltale signs that may cause prospective (and even current) readers to think you’ve deserted your blog. No original content. In other words, the content on your blog is scraped or marginally edited from other online sources without permission. This includes content displayed in iframes so it appears to be the author’s work but doesn’t point to the original URL. [Note: I’ve had all of these issues happen to me when my content has been “borrowed”. One way to be aware when this is happening is to include one or more links back to your blog in every post so you get pinged when someone uses it.] Actionable Marketing Tip: If you can’t create original blog posts or have them ghost written, then don’t use a blog. It reflects poorly on you and your organization. No recent posts. Since blogs thrive on continual publication of fresh content, you need to provide new posts that resonate with your readers at least once per month. (BTW, I recommend posting at least two to three times per week.) Actionable Marketing Tip: Create an editorial calendar to plan your blog posts for a month at a time. Also, keep three to five posts in reserve for times when there’s no time to blog. No current information. While it’s great to have evergreen content on your blog that never goes out of date, you need to show that someone’s home and is aware of what’s going on in your blog’s area of interest. Remember readers need a reason to read and return. 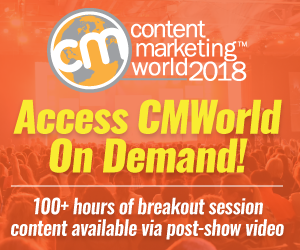 Actionable Marketing Tip: If you don’t have the time to keep up with current events, then either curate links to recent columns with your personal commentary or ask guest bloggers to do so. No visual bling. The lack of any non-verbal cues to draw the eye’s attention can cause prospects to leave your blog. Remember that 94% of reading decisions happen before the prospect has even read a word of your post. Actionable Marketing Tip: Add an image, graphic or photo to every blog post. Think in terms of a visual summary. Go one step further and create an image that’s Pinterest-worthy. No personality (closely aligned with no human touch). As a form of social media, blogs must sound like real person, not like corporate-speak. Actionable Marketing Tip: Set blog guidelines for voice, language usage, images and other content. Think in terms of how blog posts will be written, such first person, with contractions (the way people speak) and related lingo. Also, link to writer’s profile pages and/or photos to show that there are real people behind your blog. No social sharing buttons. Without social sharing (including email-a-friend) options, you limit your blog’s content distribution. Further, even with low numbers social sharing buttons show that other people have visited your blog. Actionable Marketing Tip: Add the social sharing buttons that are most relevant for your prospective readers. Further, share your content across the major social media networks expanding your reach with the use of hashtags. No About page. 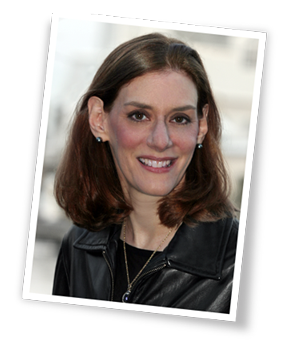 Readers like to learn more about bloggers since it gives insights into the blog. An About page is for readers and visitors. If there isn’t one, it’s a sign you’re not that interested in engaging with your visitors. Actionable Marketing Tip: Develop your About page, even if it’s scant to begin with. You can enhance it later. Also make it easily findable. No contact information (including phone number and maps.) One of the major reasons to have a blog is to support sales and search optimization. Once prospects get to your blog, you must be able to answer their questions and/or fulfill their needs or they’re gone. No comments. While it can be difficult to attract an on-going stream of comments unless you’re a top blogger, you should have a few. Actionable Marketing Tip: If you’re a new blogger, comment on other people’s blogs, mention other people on your blog, and/or ask social media colleagues to help you out. Here’s how to get massive comments. No reason to stay. If you only provide short tips of the day or summaries, there’s a good chance readers get what they need quickly and leave. Actionable Marketing Tip: To extend visits, create longer posts, ask a question at the end of each post and offer related content. Here’s how to give your blog posts legs. To ensure your blog doesn’t become a ghost town, use these twelve tips to create engaging original content, attracting more visitors and extending their engagement. What other signs make a blog appear deserted and why do you think so? Tags Actionable Marketing Tip, Blog. Bookmark the permalink. What a great post – thanks Heidi. I will use this like a checklist. Thanks. Great lead-in! The comment on the ghost town, as well as the header was really grabbing!